Be the greatest version of yourself~ Damien is a full-time traveling entertainer that travels around the world whilst observes and learns the intricate workings of life. For more entertaining and insightful content feel free to check out my website and follow me on my various social media platforms. In 'The Quintessential Flavors of Hong Kong - Part 1' we only scratched the surface of what makes this tiny city so alluring . In this part, let's get more adventurous by taking a detour away from the renown pastimes and explore what else this amazing place has to offer. If your stomach is strong and vastly empty then be prepared for a delightful degustation of exotic dishes from around the world. Hong Kong’s third quintessential flavor is literally the flavor of its local and foreign foods. Choice and variety is the key word when it comes to sampling Hong Kong’s cuisine. Hong Kong is a city that never sleeps and that is the same with its restaurants. You will never and I mean NEVER run out of options to eat at any time of the day. The long working hours means that there will always be someone catering for those night owls or working overtime into the night. As again let’s look at districts rather than specifics to see where we can get satisfy our taste buds. CCTs, Short for ‘Cha Cha Teng’ literally mean Tea Café which are the equivalent to diners. They are full of choice, quick, cheap, open long hours and everywhere! If you want to what the locals have you are sure to find it in a CCT and for a great price. Always go for the set meals as they are far cheaper and satisfying. The only downside to a CCT is the poor level of service, true Hong Kong style indeed. You can’t have an authentic dining experience without trying ‘Yum Cha’ (literally – drink tea). The traditional morning or afternoon tea is accompanied with a bombardment of various ‘Dim Sums’ (Small dishes) that allows you to indulge in the delectable range of Cantonese food. Yum Cha is actually less about the food and more about the experience itself. Traditionally, the dim sums are placed on carts and wheeled around to each table allowing you to see and smell the dishes before selecting. The great thing about this is that it is supremely quick – what you see is what you get! Yum Chas are unfortunately not as prevalent as they once were (being replaced by Western alternatives) however they can be found quite easily on the Kowloon side of Hong Kong. The best places are usually the local places however if you want a more international friendly Yum Cha head to Mong Kok, Tsim Sha Tsui or Sham Sui Po and you are sure to find some great places. On the other end of the spectrum is Elgin and Staunton Street in Soho (parallel to one another). These two streets are where exotic foods from all corners of the world meet. Indulge in the sights, sounds and aromas of food at its most finest along with impeccable ambiance and great service that will transport you all around the globe. On these two streets alone you will find everything from imaginative fusion ‘east meets west’ dishes to the secret underground (and above ground) culinary hideouts nestled in Hong Kong’s labyrinth architecture. 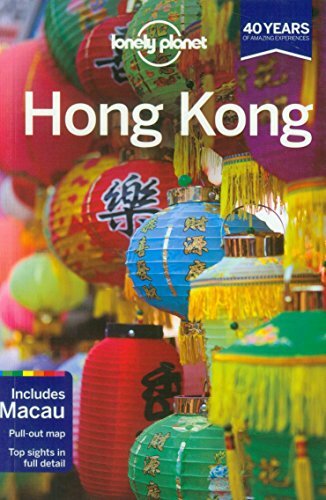 Hong Kong is a mecca for traditional, exotic and fusion foods so be adventurous and explore the alley ways, high-rise buildings and vast shopping centers you are bound to find something that pleases your taste buds. There will never be a shortage of food to try. Being such a geographically tiny piece of land, one must wonder how they even have enough space to build tourist attractions. Rest assured there are various sights that can literally take your breath away. South of Hong Kong’s buzzing epicenter along a death-defying scenic tour is a quaint fishing village that has captured the hearts of both local and foreign adventurers. Its picturesque beauty and colonial history forms the very essence of its appeal. Here you will find a vast array of bars and restaurants to unwind in whilst soaking in the uniquely non-Hong Kong atmosphere. The famous Stanley Market is yet another great reason to brave the dangerously enduring twists and turns to get to Stanley. The lively markets are not exactly a shopper’s paradise but overs some interesting memorabilia and gadgets for tourists passing through. The markets itself is also surrounded by historical military architecture, remnants of a fading British colonial Hong Kong. If history isn’t your thing then head over to the nearby beaches which are a great way to unwind after a long-trek. As the name implies the Peak is Hong Kong Island’s highest point offering a spectacular view of Hong Kong’s urban jungle whilst providing shopping and entertainment value for all its visitors. The peak’s iconic tram ride is the most popular form of transport to the top however you can also take a bus to the top – not as fun given that the tram ascends up the mountain at an almost 45 degree incline. At the top of this must see Hong Kong destination is a surprisingly array of activities. Whether you want sky-high panoramic views of Hong Kong from the Sky Terrace platform, shop and eat at the ultra-modern shopping complex, visit the inanimate lifelike celebrities at Madame Tussauds, or take a hike (literally) around the various tropical forests and unique wildlife in the surrounding nature walks, the peak is ‘jam packed’ with surprises. Located on the outskirts of Hong Kong on Lantau Island is a place of both true beauty and spiritual wonder. The journey itself is truly the reward, taking you all the way up to the sacred heavens of Ngong Ping Mountains where you will find the world’s largest Buddha statue, the Tian Tan Buddha. Made completely of bronze it stands over 30 metres tall above a 268 step steep staircase. It is truly one of Hong Kong’s more humbling and majestic experience for all especially for pilgrims. Still want more? Not only do you get the experience of seeing this magnificent manmade marvel, located directly opposite of the Tian Tan Buddha is Polin Monastery. Touted as ‘the Buddhist World in the South’ you can gorge yourself (without repent) on some of the finest vegetarian food you will ever find. The Polin temple is home to many devout Buddhist monks that preserve and nurture the teachings and principles of Buddhism that can be easily seen through the immaculate birdsong gardens and idyllic temples. Making the arduous trek can be made easier by taking a 25 minute breath-taking cable cart ride above these majestic mountains. If you know a bit about Asian pop-culture and entertainment then you will see many familiar names (Bruce Lee, Jackie Chan, Andy Lau etc.) and their respective handprints imprinted into special plaques on the ground. Alongside this star-studded boardwalk is the iconic Victoria Harbour, which in itself is an attraction. It’s best to come around sunset to catch the spectacular transition between radiant skylines to a neon wonderland amongst the backdrop of sky high mountains and still waters. If you still want more you can wander around the Hong Kong Cultural Centre or the Hong Kong Museum of Art located adjacent to the spectacular panoramic waterfront. It’s not often you put the two words ‘Hong Kong’ and ‘Nature’ together, instead images of high-rise horizons and manic people rushing around paints a more common conception of Hong Kong. Despite this, Hong Kong is actually comprised of more nature than city given its extensive mountainous terrain. Nevertheless, there are some natural beauties of its own to share with those adventurous souls who want to get away from the incessant commotion. Located on the Far East (ironic given that its name means ‘Western Tribute’) side of Hong Kong, Sai Kung is a former fishing village turned tourist attraction. Famous for its seafood and numerous beaches, it’s a port to travel to many of Hong Kong smaller islands. The region is also home to Hong Kong’s wealthier echelon who can afford exorbitantly high prices of property and luxury yachts. Despite this lucrative and burgeoning rural destination it offers a touch of nature that is rare to find within this population dense city. There is an abundance of nature trails, spacious waters and countless secluded islands to explore – that is, provided if you have access to a boat. As you would expect with a nature bound city like Hong Kong, hiking is a popular pastime for locals and tourists. One of Hong Kong’s best hiking trails is situated within Lamma Island – which is about a half hour ferry trip from the main island. Lamma Island transports you from urban chaos to rural calm with the added bonus of great seafood restaurants and chilled out bars. The hike itself takes you from one port of the island to the other through a rather smooth scenic route with incredible views (about an hour’s trek). There are also mountains (of course) caves and beaches to meander around if you get the urge to explore the island to its fullest. The formation of a Lion’s head on a prominent mountain nestled in suburban Hong Kong has made Lion Rock an iconic wonder for local and tourists. Lion Rock is also a hiking trail that takes you far up the mountains of Hong Kong for some spectacular views of Kowloon and Hong Kong Island. Despite its very challenging nature, the views and copious amounts of exercise will be well worth it. If this still isn’t enough, you can observe the local bird-life and of course the monkeys, that are sure to bring some joy to your life whilst up in the clouds. For such a small city, Hong Kong is all about maximizing efficiency – it’s a place of wonder, excitement and the occasional blow ups – after all you can’t have organized chaos without the mayhem. From the outside looking in it might be just a polluted mess however once you are inside you will find yourself falling in love with its charm. A distinctively ceaseless buzzing feeling that resembles a love-hate relationship. Nevertheless, if you take the time to explore and see beyond the faces you will see a place where the human spirit is strong and thriving. Having fallen in love with Hong Kong it becomes increasingly difficult to leave – even though the dramas of the daily grind can be a burden it is truly a unique and amazing city for those passing through or living here.